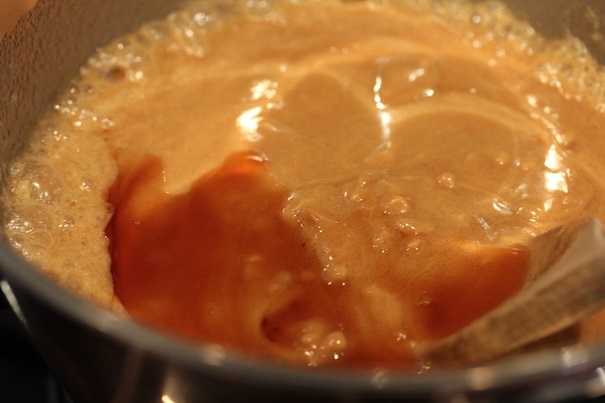 Melt honey and sugar in small saucepan. Add peanut butter and combine. Place popped corn in a baking sheet with sides and drizzle mixture over popcorn. Mix with a spoon to cover as much popcorn as possible. Serve.